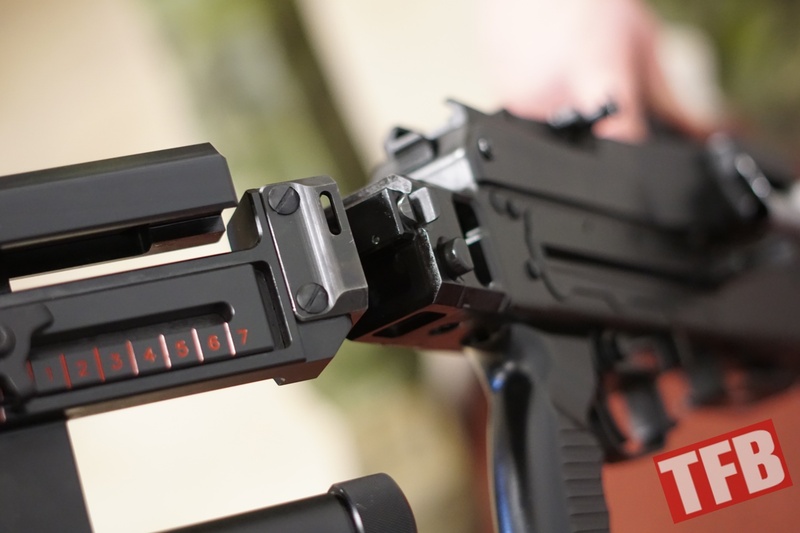 At the tail end of SHOT Show, TFB writers Miles and Nathaniel received a very unique and rare opportunity to get hands-on with the Zakłady Mechaniczne Tarnów (ZMT) UKM 2000 in the United States while at the popular Vegas shooting range, Battlefield Las Vegas. 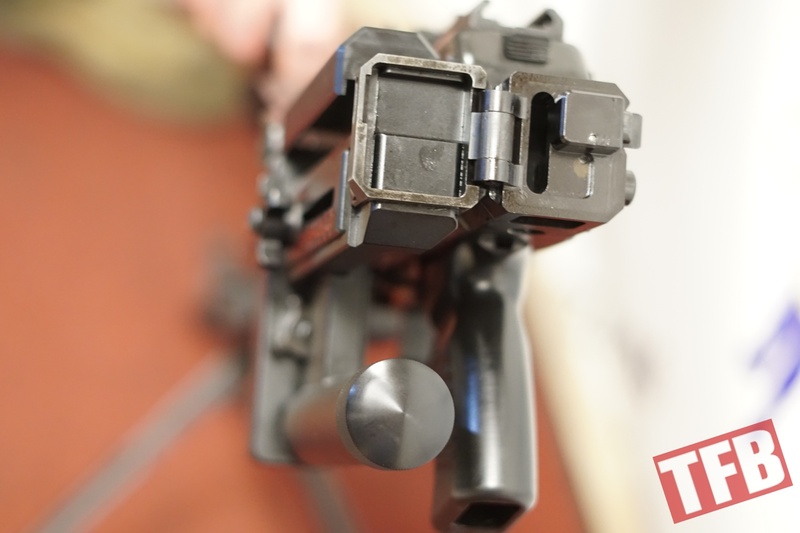 Although the general purpose machine gun itself isn’t rare, currently being fielded by the Polish Armed Forces, this particular specimen is the only known version actually imported into the United States. 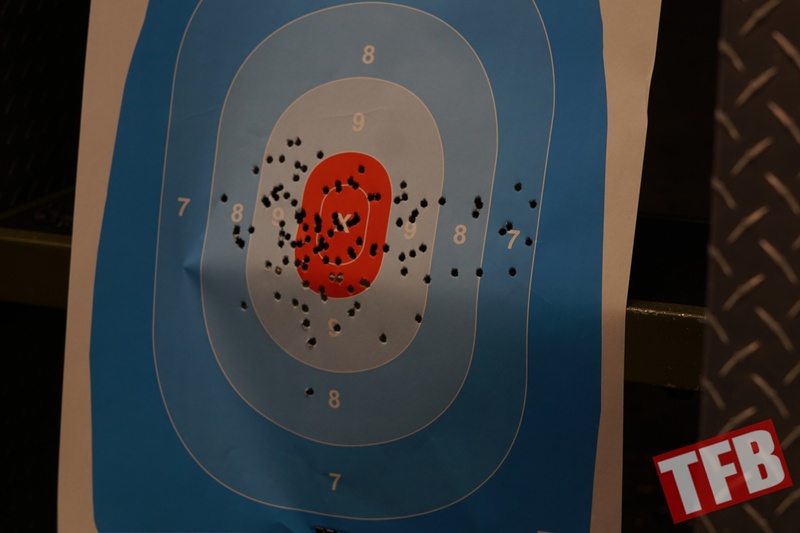 Readers in the Las Vegas area can even rent it, in addition to a standard PKM. 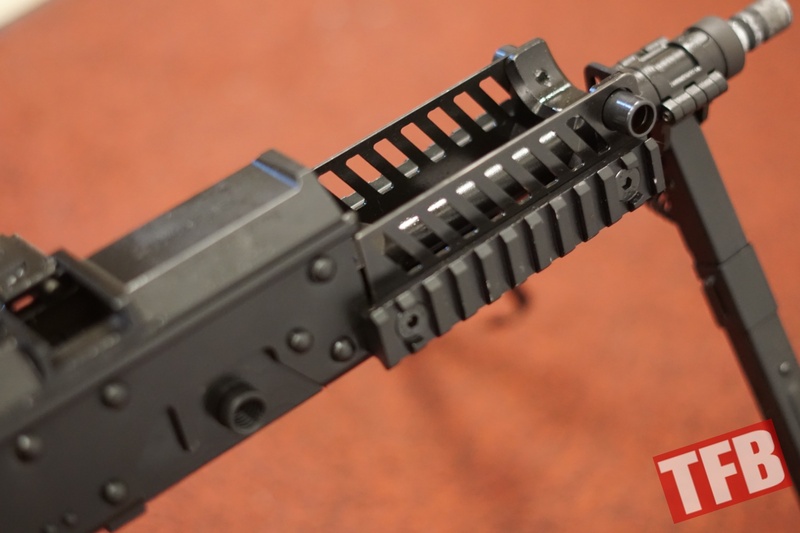 Essentially an upgraded PKM chambered in 7.62x51mm NATO, this is Poland’s entry into NATO standardization by adopting a general purpose machine gun that can be fed with 7.62x51mm belts. Some have mentioned that the operating system is a cross between that of an M240B and a PKM, in regard to the feeding mechanism. There is a shortened version called the UKM 2013 that features polymer furniture. 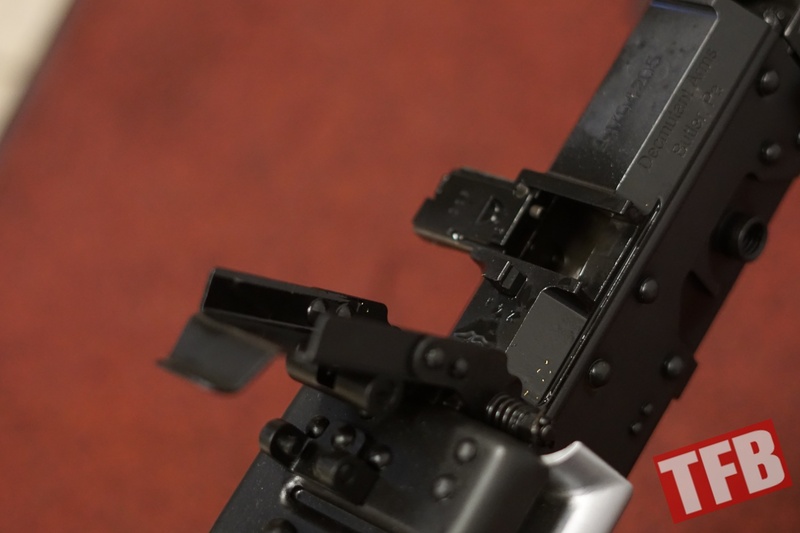 But apart from the feeding mechanism, there are a number of other components that really set this machine gun apart from a standard PKM. 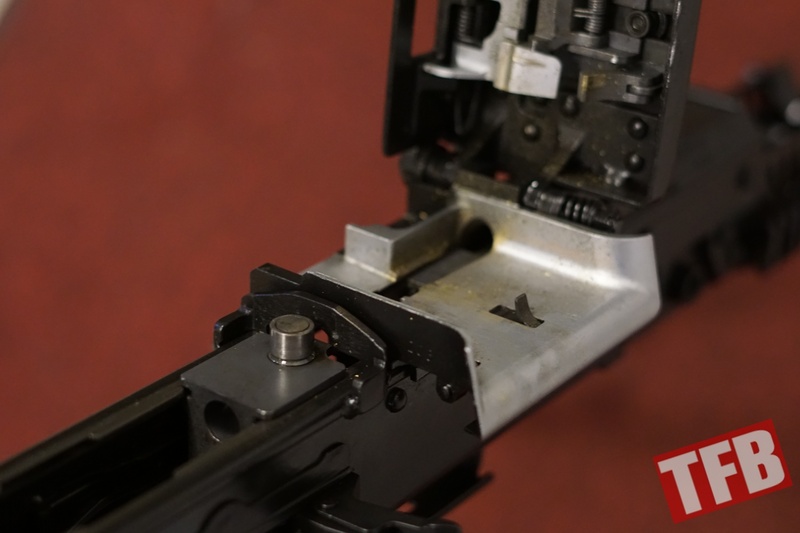 Very important mechanically is the ability to take the barrel off the machine gun with the feed tray cover closed. 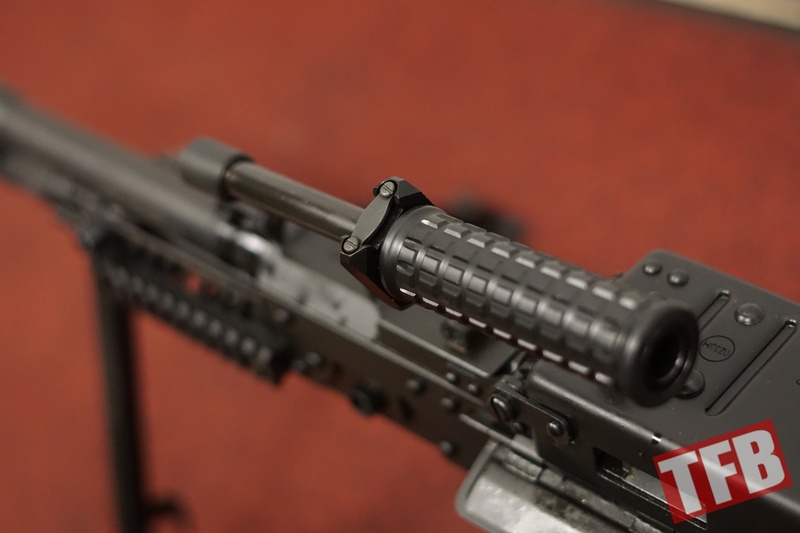 More in line with the M240, this is different from a standard PKM where a user must lift the feed tray over to release the barrel. 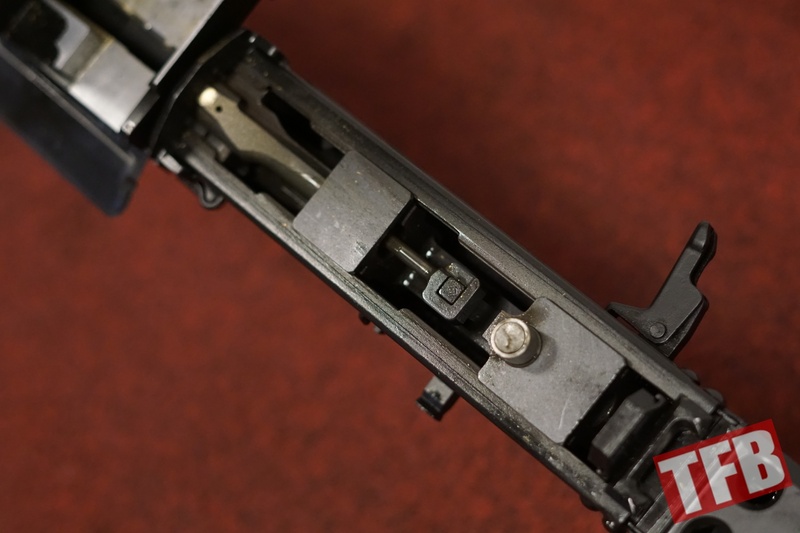 Although normally not an issue, this part of the machine gun obviously becomes incredibly hot over the course of fire (which is why one would need to change the barrel, to begin with). The apparatus is covered by a metal latch. 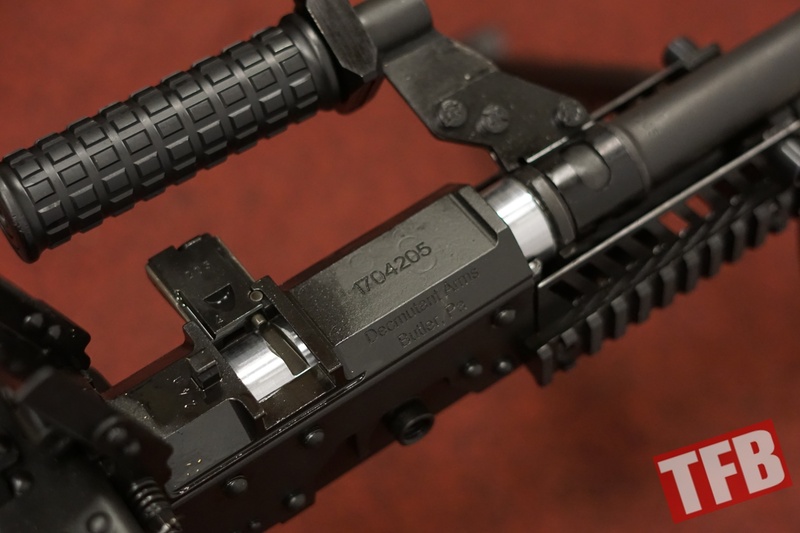 Although not an M240 bolt, it does use the M240 feed system in terms of the feed paw and guide. 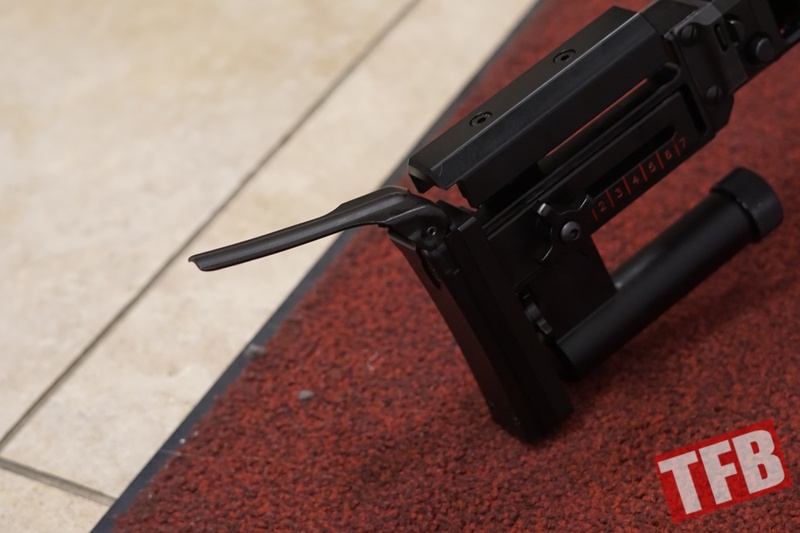 The carrying handle has an integrated extension that can be pressed out, allowing the machine gun to be carried closer to the center of gravity. 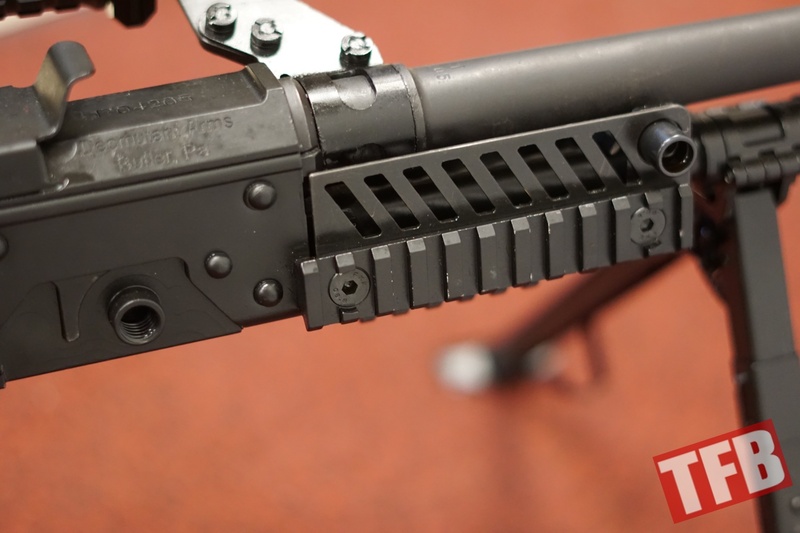 A folding buttstock has been added, allowing the buttstock to be folded to the left. 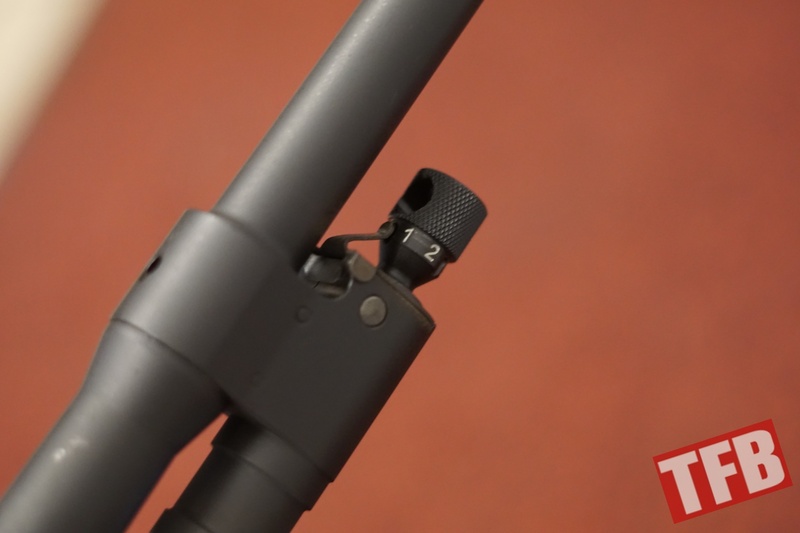 This also allows the cheek piece to be adjusted for height and length of pull. 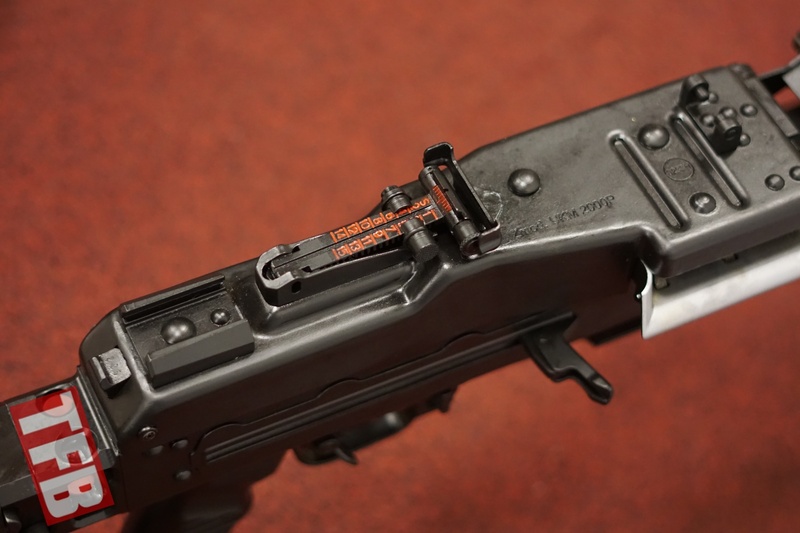 Notice the rear bracket behind the rear sight and the front pin mount. 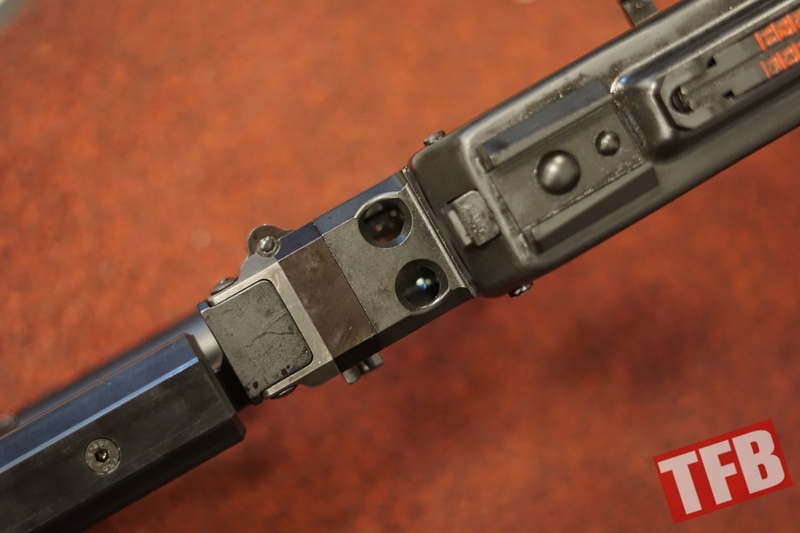 This is for the optional installation of an M1913 Picatinny rail. 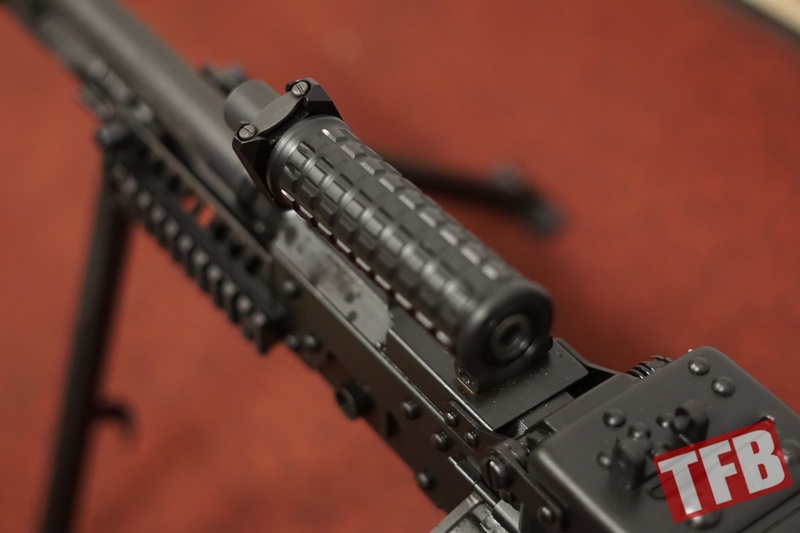 Picatinny rails have been added to positions at 3,6, and 9 o’clock for the mounting of ATPIALs or forward grips. The bipods appear to haven’t changed much from a PKM design. There is an adjustable gas regulator that allows for firing in normal to adverse conditions. 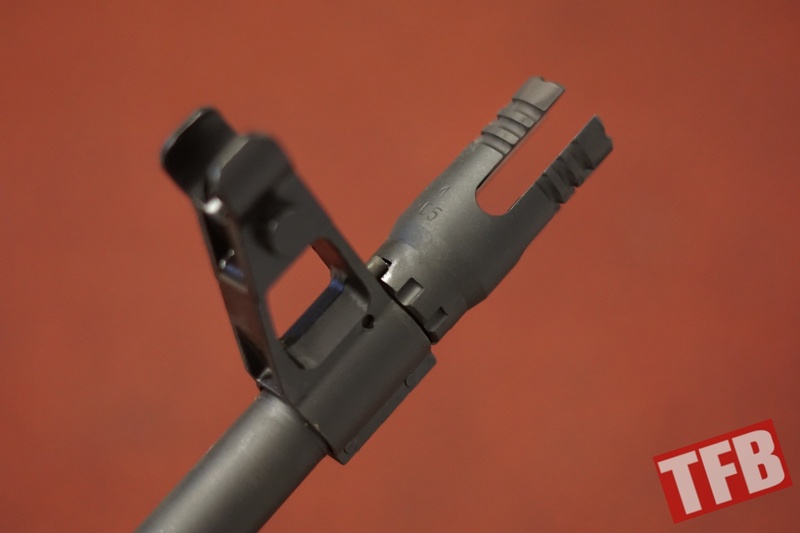 The flash hider has been altered from the PKM design as well. And this is how you turn money into smoke. We want to especially thank Battlefield Las Vegas for allowing TFB this rare opportunity to get some range time with the UKM 2000.